6203 W Sand Lake Rd. 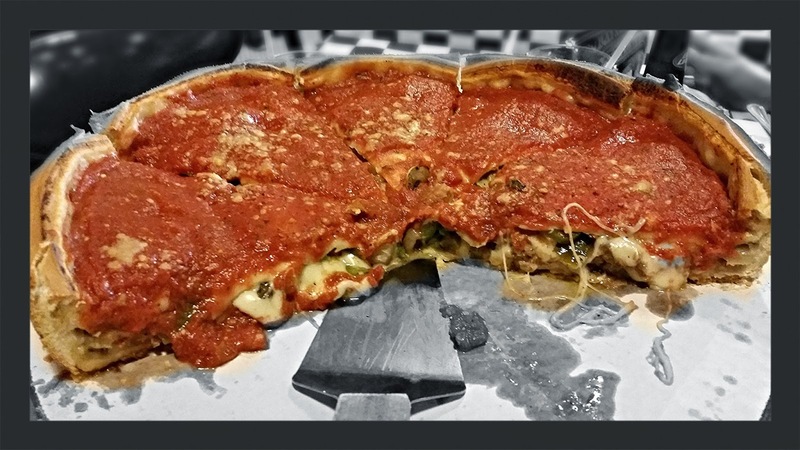 The origins of the Chicago-style deep-dish pizza go back to 1943, and most believe that the original Pizzeria Uno in Chicago and its owner Ike Sewell had a hand in inventing the monstrous creation. However, a 1956 article from the Chicago Daily News says that Uno's original pizza chef Rudy Malnati developed the original recipe. By the mid 1970s, Pizzeria Uno was so successful, that it provided the inspiration for two now famous Chicago chains, Nancy's Pizza,founded by Rocco Palese, and Giordano's Pizzeria, operated by brothers Efren and Joseph Boglio, to open their own restaurants. In an effort to keep with traditions but stand out as something different than what Uno was offering, they began experimenting with deep dish pizza and created the "Stuffed Pizza". Palese based his creation on his mother's recipe for scarciedda, an Italian Easter pie from his hometown of Potenza. 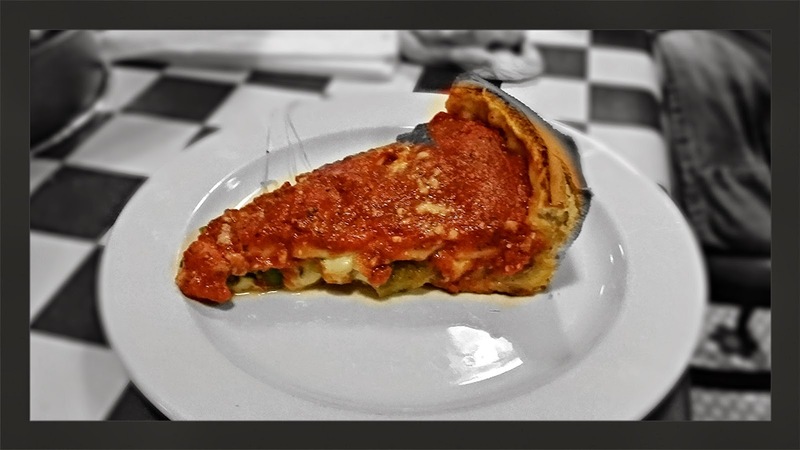 Giordanos creation began in a small northern Italian town near Torino where mama Giordano was famous for her most beloved meal known as “Italian Easter Pie”. As you can see, both establishments have a similar background and story, and both were often making headlines and news stories for the huge pies they served, but this led to a never ending debate. To this day, you can easily start an argument with just about anybody from Chicago by asking..."Who was first..Nancy's or Giordano's" If you want to see more info about the great pie debate, Go Here and take a look at another review I did for Chicago's Stuffed Pizza , a newcomer to Orlando and to the whole Pizza vs. Pie debate. Giordano's has three Central Florida locations mostly all close to the attractions and resort areas. For my visit I went to the one on Sand Lake Road. The other two locations are on W. Irlo Bronson highway in Kissimmee and S. Apopka Vineland road in Orlando. In addition to all of the famous deep dish pizza pies, Giordano's serves up a nice selection of appetizers and salads. 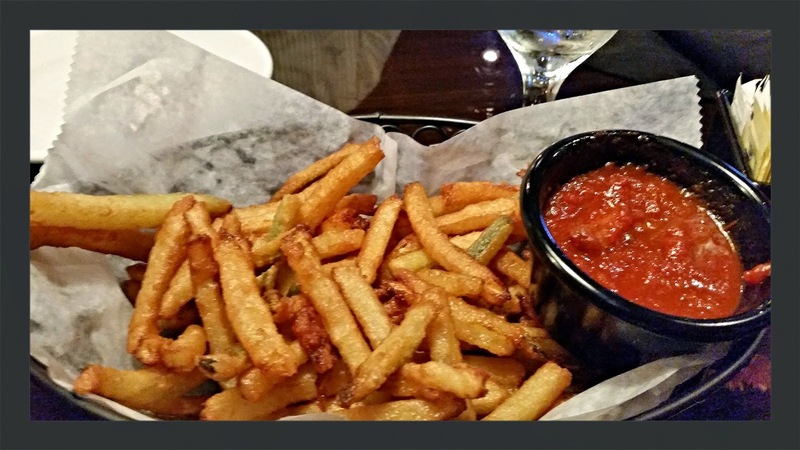 Some of the featured items include: Tomato Bruschetta, Chicken Wings, Garlic Parmesan Fries and Fired Calamari. If you are not in the mood for Pizza, They also serve up some pretty good sandwich choices. The sandwich menu includes the Chicken Parmesan, Italian Market Deli, Mamma's Meatball Sub and the popular Italian Beef Sandwich. For a different take on the classic Italian Beef sandwich, you can order the Northside Italian Beef and have all of the ingredients cooked inside Giordano's legendary pizza dough. 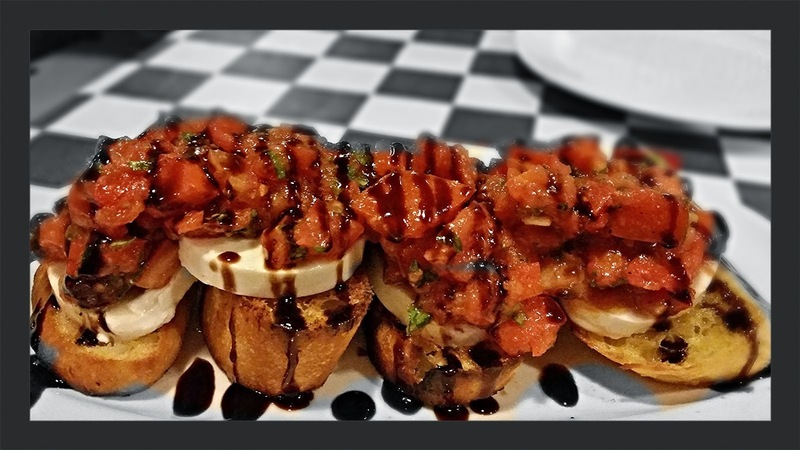 We started with an order of the Ripe Tomato Bruschetta with diced tomatoes, olive oil, fresh mozzarella and basil on crispy garlic toast with a balsamic glaze. This was one of the better Tomato Bruschetta's I've had. For our pie selection we chose The Special with sausage, mushrooms, green peppers and onions. Compared to other Pizza Pies I have had, I enjoyed Giordano's a little bit more simply because it was more edible. What I mean by that is that the pie was not too thick and heavy, but just the right size. Of course there are a few dessert selections available at Giordano's as well like Tiramisu, Mini Cannoli, Chocolate Layer Cake and even a S'mores Pie. It all sounded very tempting, but after consuming so much bread and cheese, there was no room left. Perhaps next time. 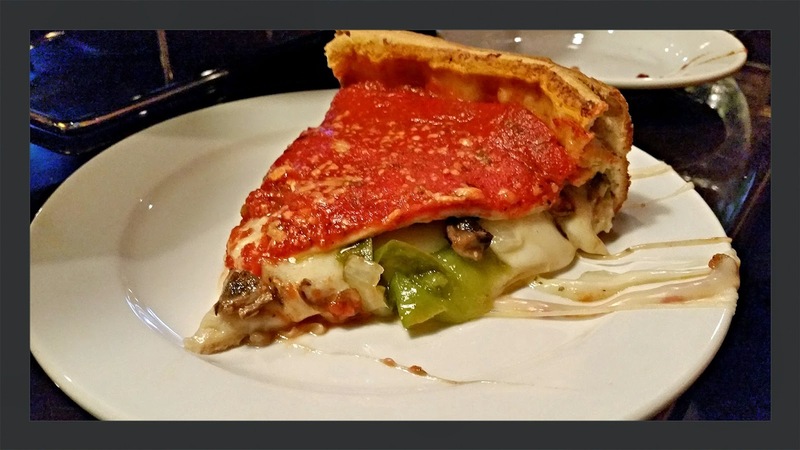 I really enjoyed Giordano's and plan on going there again sometime soon. I was impressed on my recent visit with all of the nice people from Chicago eating there. They all told me that Giordano's is legit....and that's a good thing. Great pies, great foods, and great for family get togethers. If you or any of your friends or family members are from Chicago, then you know what a real authentic Chicago style pizza is supposed to taste like and what it should look like. You are also aware of the great debate over "Stuffed Pizza" vs. "Deep Dish" pizza, and the raging battle over who made what first. The origins of the Chicago-style deep-dish pizza go back to 1943, and most believe that the original Pizzeria Uno in Chicago and its owner Ike Sewell had a hand in inventing the monstrous creation. However, a 1956 article from the Chicago Daily News says that Uno's original pizza chef Rudy Malnati developed the original recipe. By the mid 1970s, Pizzeria Uno was so successful, that it provided the inspiration for two now famous Chicago chains, Nancy's Pizza, founded by Rocco Palese, and Giordano's Pizzeria, operated by brothers Efren and Joseph Boglio, to open their own restaurants. In an effort to keep with traditions but stand out as something different than what Uno was offering, they began experimenting with deep dish pizza and created the "Stuffed Pizza". Palese based his creation on his mother's recipe for scarciedda, an Italian Easter pie from his hometown of Potenza. 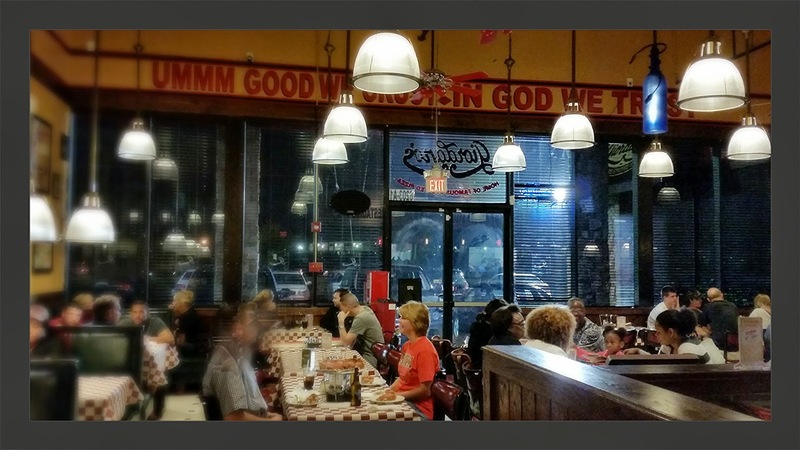 Giordanos creation began in a small northern Italian town near Torino where mama Giordano was famous for her most beloved meal known as “Italian Easter Pie”. As you can see, both establishments have a similar background and story, and both were often making headlines and news stories for the huge pies they served, but this led to a never ending debate. 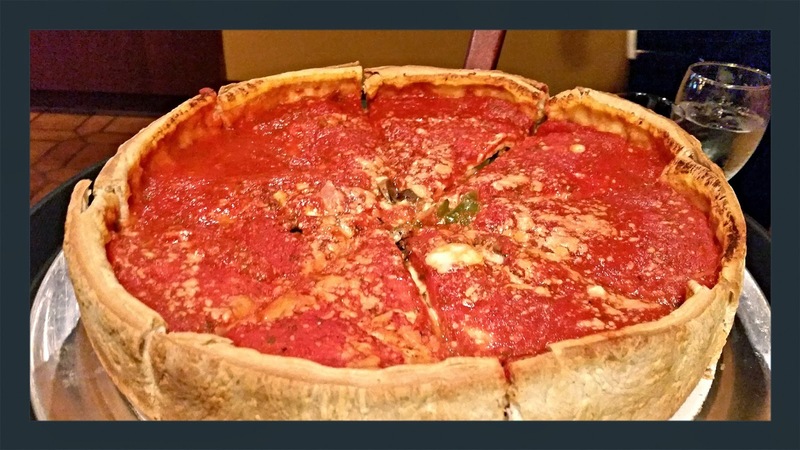 To this day, you can easily start an argument with just about anybody from Chicago by asking..."Who was first..Nancy's or Giordano's"
In Chicago there are pretty much three styles of traditional pizza. The first is the "Deep Dish" pizza, that has a crust up to three inches tall at the edge, slightly higher than the ingredients, which include large amounts of cheese and chunky tomato sauce. Then there is the traditional "Thin Crust" pizza that is almost flat bread like and is your standard fare. Finally, you have the "Stuffed Pizza". Stuffed pizzas are often even deeper than deep-dish pizzas, but otherwise, it can be hard to see the difference until it is cut into. A stuffed pizza generally has much deeper topping density than any other type of pizza. As with deep-dish pizza, a deep layer of dough forms a bowl in a high-sided pan and the toppings and cheese are added, then, an additional layer of dough goes on top and is pressed to the sides of the crust. Orlando's newest pie maker, Chicago's Stuffed Pizza is here to further the great pizza pie debate, and serve up some pretty good food too. 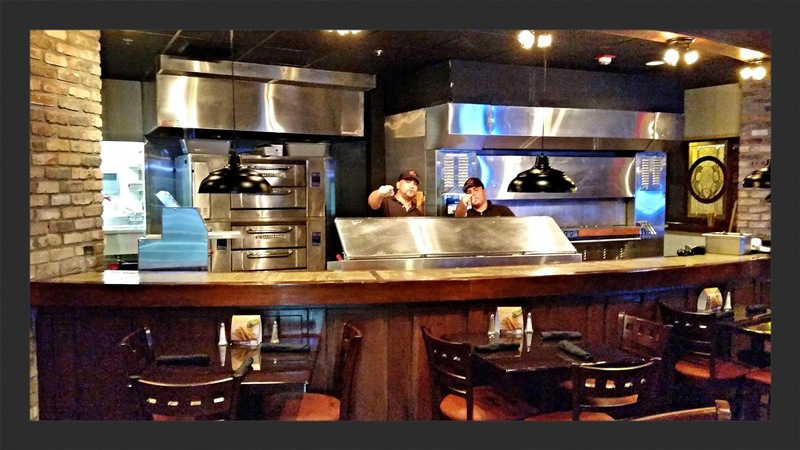 The name of the restaurant was specifically chosen to represent their mission, which is to bring that same great style of pizza you will find in the greater Chicago area to Orlando. After all , we do have Giordano's in Orlando, but as of yet, no Nancy's..so let the debates begin. In addition to huge stuffed pizza, Chicago's has an offering of appetizers like mozzarella sticks, breaded mushrooms , fried zucchini, and even fried calamari.You can also order a variety of pastas like fettuccine, spaghetti and lasagna and they have a decent sandwich menu too. 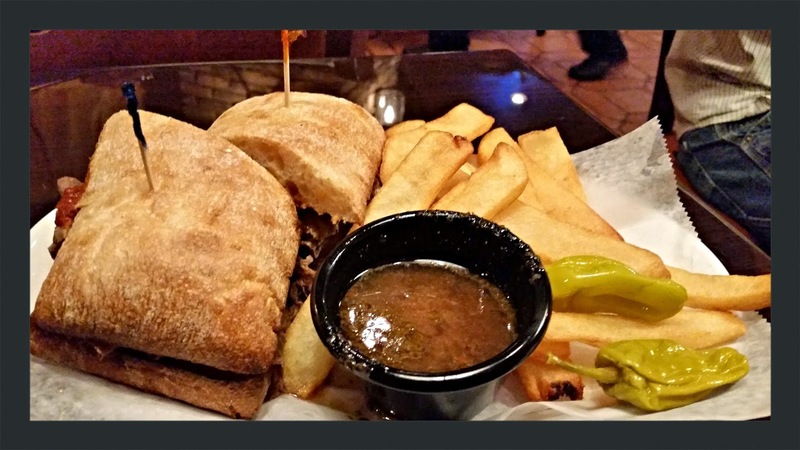 Some of the sandwiches include the classic Italian beef, Philly cheese steak, and chicken Parmesan to name a few. We ordered the fried zucchini for a snack, since our pie was going to take 30 minutes to bake. These were pretty good, especially dipped in the marinara sauce,and the first time I've had zucchini fried. Since I was dining with a friend from Chicago, he insisted we try out the Italian beef combo sandwich with beef, sausage,and Giardiniera peppers. Although it was really good, he was let down by the use of ciabatta bread instead of a hoagie roll. We ordered a medium special pizza with sausage, mushrooms, green peppers and onions. For $23.95, this pie sliced up into 6 slices, and was impressively massive. After sharing our appetizer and sandwiches, we could barely finish one slice of this pie. It was delicious and tasty, but very filling, and my Chicago friend approved of this pie very much. I really enjoyed Chicago's Stuffed Pizza and am looking forward to a return visit with a group of friends. During our visit beer was available, but they were still waiting on their liquor licence. A small stuffed pizza cuts into about 4 slices and goes for $18.95 while a large 8 slice pie goes for $27.95. It may be a good idea to call ahead and order your stuffed pizza, since they are made to order and take over 30 minutes to bake. Chicago's Stuffed Pizza may be hard to find, as it is in the old Eternal Tap location, which suddenly closed...perhaps to poor location. The building itself is next to the railroad tracks and is behind Hamburger Mary's.